Dark, rich, velvety with a buttery chocolate finish. Pulling a shot of an espresso blend is like putting that blend under a microscope. The extreme pressure of water used by the espresso machine magnifies every aspect of the coffee, both good and bad. Because of this, it takes a certain amount of finesse to bring the blend and the roast into a harmony of excellence. 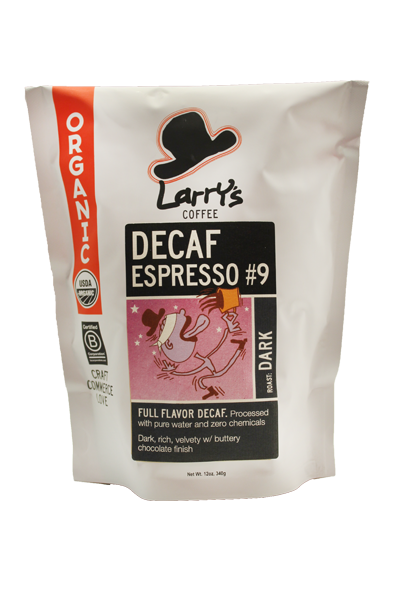 With a decaf espresso blend, the finesse has to be that much defter, to counter the inevitable question, decaf espresso? What's the point?? The point is this: a smooth and full-bodied shot, rich and creamy with notes of dark chocolate and hints of spice.